The key to these delicious carrots is long and slow so start with a nice even heat and slowly caramelize them by rolling them in the pan, it also helps to bring out the sweetness. In a bowl combine everything for the salsa verde and set aside. Season the steak and cook in a pan over medium heat until desired degree. Rest in ambient temp for 5 -10 mins. Heat a non stick pan over medium heat, add a little canola oil then carrots. Slowly cook turning often until tender. 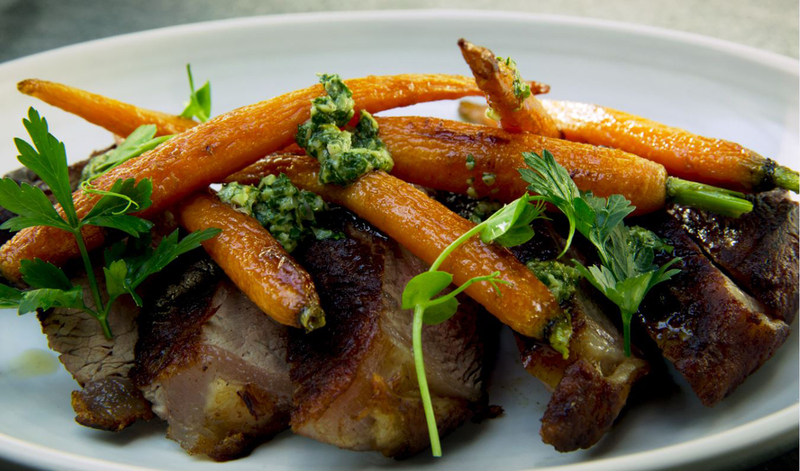 Serve the steak and garnish with the carrots, salsa verde and fresh parsley.